Samsung has a lot riding on its latest flagship smartphone, the Samsung Galaxy S8 and S8+. With my dearly beloved Note 7 turning into a disaster of epic proportions for the South Korean manufacturer, Samsung needs the S8 and S8+ to be a hit. While I can’t speak for the long-term reliability of the S8’s battery, Samsung is well-aware that if the company allows another major issue to plague one of its devices, it’s essentially finished in the smartphone industry despite the fact that its brand has become synonymous with Google’s Android operating system. With this said, I’ll be shocked if the S8 experiences battery-related problems. Samsung says it has a new eight-point battery check system in place to prevent future Note 7 battery-related catastrophes and I buy that claim. While the S8 and S8+ are in many ways the epitome of Android design, finessing the S7 and S7 Edge’s aesthetic in a surprisingly innovative way, the phone is not perfect. Its fingerprint sensor is placed strangely next to its rear camera, resulting in me rarely using it and also causing the occasional annoying smear on the camera lens. Similar to last year’s S7 and S7 Edge, the S8 is also slippery, an issue I solved by popping it in a thin Spigen case (I put all phones in cases, even temporary review devices), but many will still take issue with the flagship’s fingerprint attracting, glossy body. This design, however, seems to be the direction many Android manufacturers are moving in, with LG’s G6 adopting a less curved, but still just as mirror-like body. 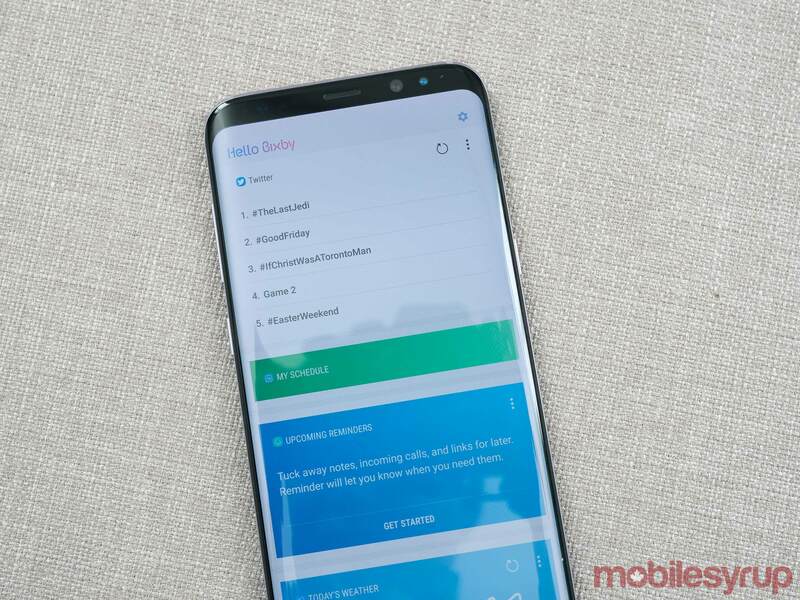 It’s also important to note that Bixby, Samsung’s heavily touted virtual assistant, while moderately useful right now thanks to Bixby Vision, doesn’t feature all of the functionality the tech giant promised because Samsung delayed its voice features at the last minute. It’s unclear why the features were delayed, or if they’ll live up to the South Korean company’s lofty claims. Though I’ve only spent about a week with the S8 so far, Samsung’s latest flagship offering is one of the sleekest looking smartphones I’ve ever seen, thanks to its beautiful combination of glass, metal and it’s absolutely massive screen that surprisingly feels smaller than you might expect. From a design perspective, the S8 and the larger S8+ share their aesthetic direction with last year’s S7, with Samsung opting to stick with a smudge attracting, curved gorilla glass design, though it’s obvious inspiration also stems from the ill-fated Note 7. For example, while the S8 adopts the same curved sides as the S7 Edge, they’re not as pronounced when compared to last year’s design, making the phone easier to hold, though this is also due to the flagship’s thin and somewhat bizarre 18.5:9 display ratio (more on that later). 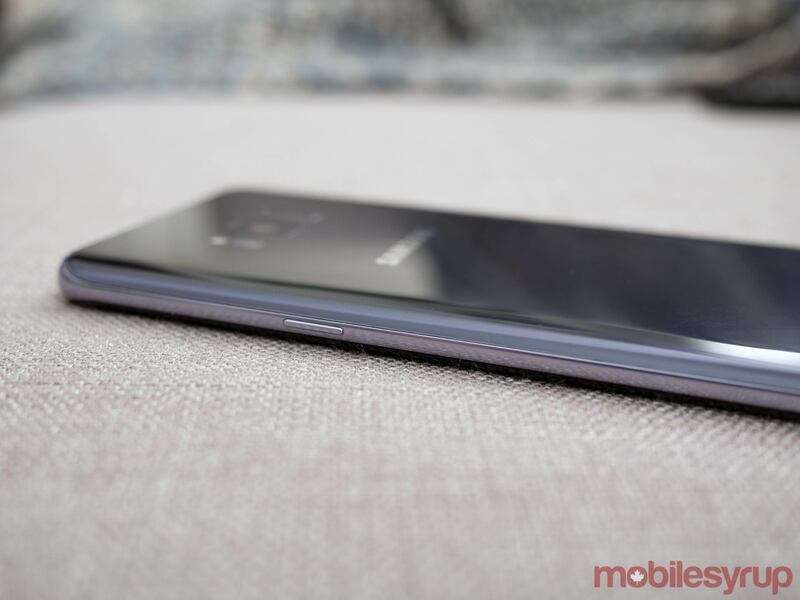 Samsung has also gone all-in on its questionably useful ‘Edges’ with the S8 and S8+, a move those not fond of the slopped sides featured in previous Edge S series devices likely won’t be pleased with. As a fan of Samsung’s flagship Edge devices, I’m okay with this shift, but I understand why it could be a point of contention for some. The S8 and S8+’s minimal bezel, however, is the smartphones’ most talked about feature. While the S8’s ‘Infinity Display’ isn’t exactly completely ‘bezel-less’ or ‘unboxed’ like Samsung claims, its minimal bezel is the most significant step forward in smartphone design of the last few years. 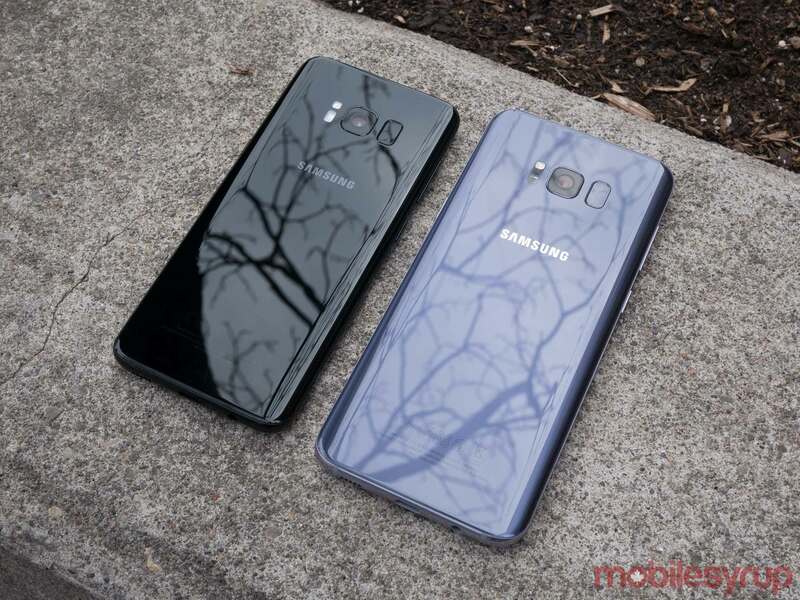 There are also two versions of Samsung’s Galaxy S8, the standard S8 and the S8+. 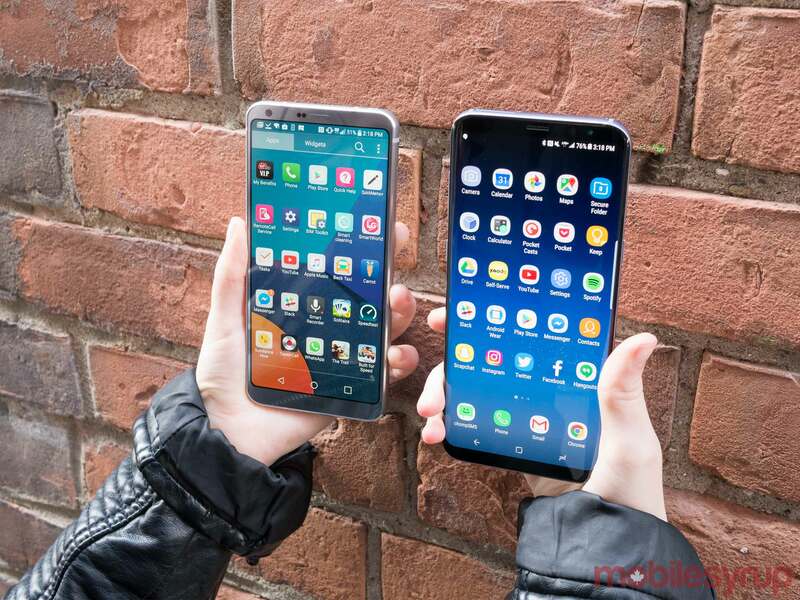 Both devices feel decidedly smaller than their predecessors, thanks to an 83 percent screen-to-body ratio, a number that is slightly larger that the G6’s 80 percent. The S8’s display extends up and down to cover almost the entire front of the phone, with the four corners of the screen being slightly curved. While I like this look in an industry full of smartphones that look nearly identical, some people I’ve shown the S8 to absolutely hate it. 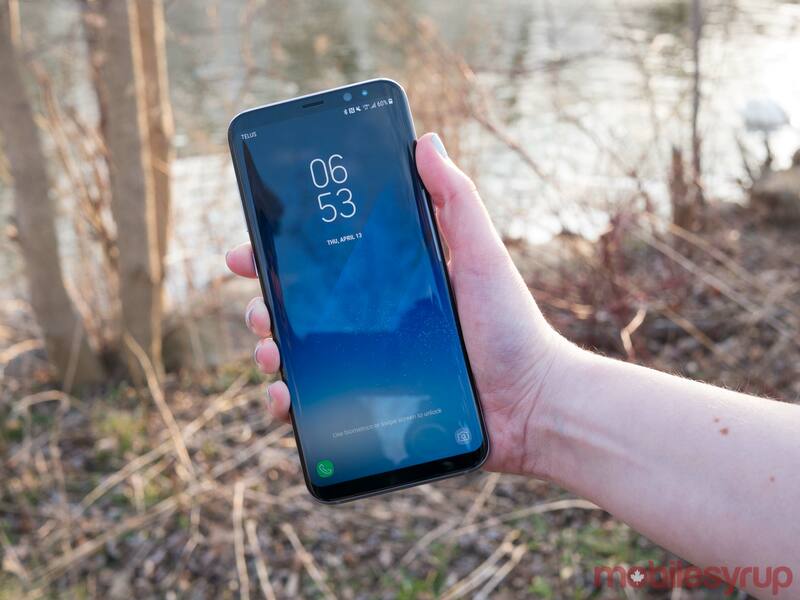 The S8 and S8 Plus do a great job of fulfilling Samsung’s promise of fitting a larger screen in a smaller body, making even the S8+ possible to be used with just one hand (if you have larger hands). It is, however, important to note that the accidental touch issues I experienced with the S7 Edge are just as common this year with both the S8 and the S8+ thanks to its double-edged sides. The S8 measures in at 148mm x 68.1mm x 8mm and 155g, whereas the S8+ comes in at 159.5mm x 73.4mm x 8.1mm and 173g. 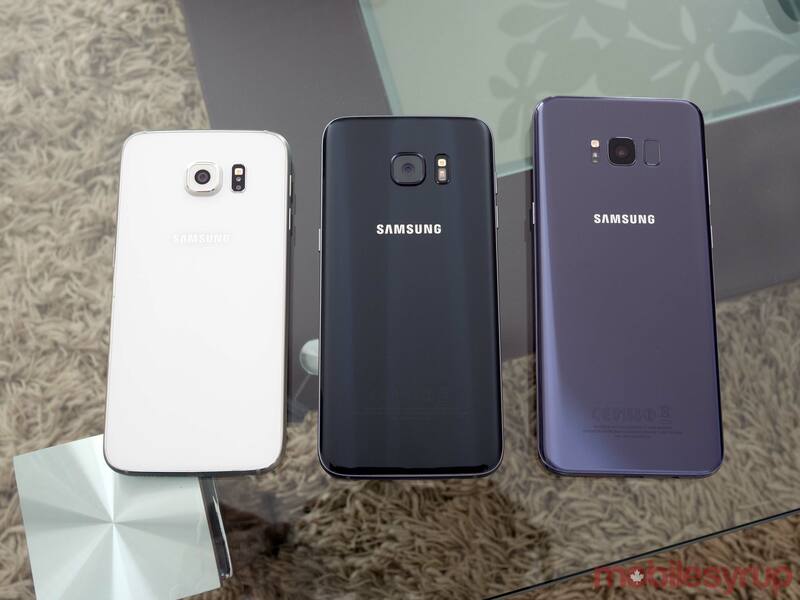 This means that the Galaxy S7 is shorter, wider and slightly thicker than the S8, and that the same can be said about the S7 Edge compared to the S8+. 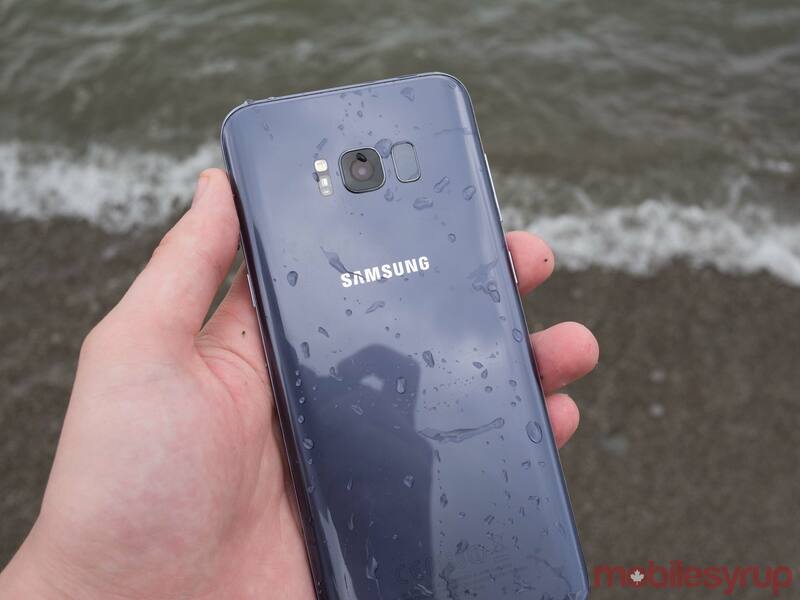 Finally, just like last year’s S7, the S8 is IP68 water and dust-resistant, though this has become an expected feature in most high-end Android smartphones, with Google’s Pixel being the most notable exception. 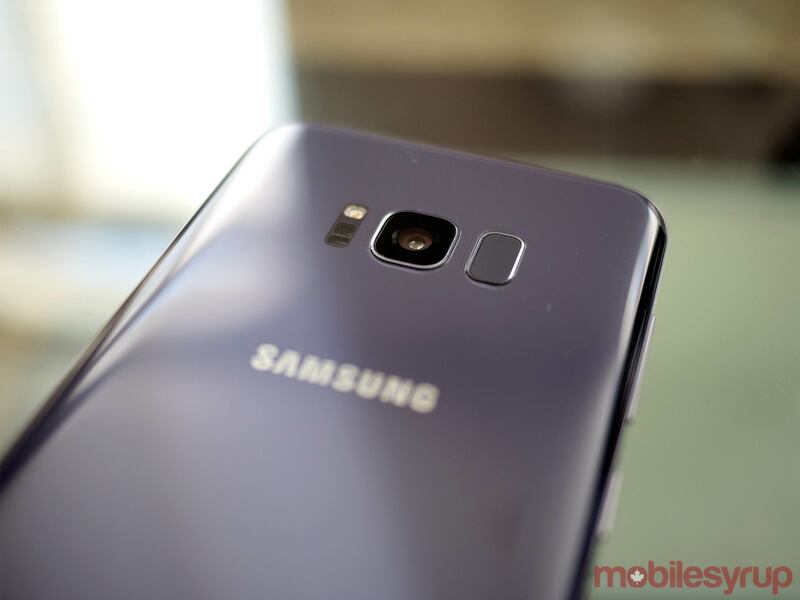 The S8’s most significant issue, however, is its awkwardly placed fingerprint sensor. Whatever the reason behind this decision, whether Samsung didn’t have time to fine tune an on-screen fingerprint scanner, or if the company has decided to ditch the technology altogether, placing the sensor beside the camera lens is a strange and awkward design decision. From a purely functional level, actually reaching your finger around the back of the S8 or S8+ is an awkward process and the phone’s taller form factor exemplifies this issue. We’ve seen rear fingerprint sensors before on devices like the Nexus 5X, 6P, Pixel and even the more recently released G6, but these scanners are always located at the centre of the devices’ rear, rather than towards the top. In fact, I found the fingerprint scanner so awkward to use — despite how responsive it is — I opted to rarely utilize it during my time with the S8. Instead — and this is a smart move by Samsung — the company has included excellent and more important fast, facial recognition. 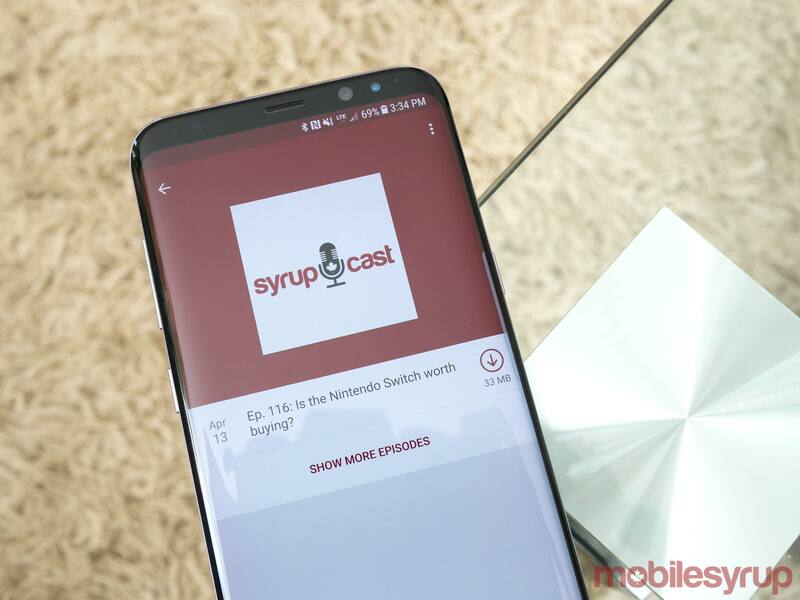 Yes, this feature has been buried within most Android device’s settings for the last few years, but Samsung’s version of the technology seems to be more accurate and much faster. Under almost any lighting conditions, even when it was extremely dark, I was able to instantly log into my phone after tapping the on button and holding it up to my face. I’d even go so far as to compare the accuracy to Windows Hello. The Note 7’s Iris scanning feature has also been added to the S8 though facial recognition is much faster and easier to use, though admittedly less secure. 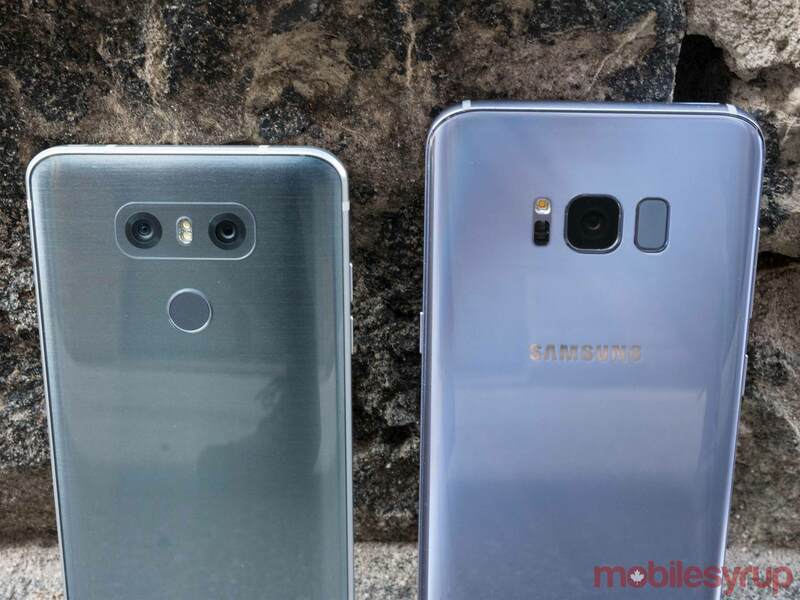 Both phones offer AMOLED displays that feature impressively sharp quad-HD+ 2960 x 1440 pixel resolutions, with HDR compatibility (it’s still unclear if the S8 supports both Dolby Vision and HDR10). As an interesting side note, it’s actually possible to change the S8’s resolution in the phone’s settings menu, shifting it from 1480 x 720 pixels to 2220 x 1080 pixels, and finally, 2960 x 1440 pixels. I wish this was an option more Android manufacturers added to their devices because it’s a great tool for saving battery life, if you aren’t interested in the device always pushing the maximum amount of pixels all the time. Overall, the S8 features one of the most impressive smartphone screens I’ve ever seen. Colours are vibrant, bright and the phone can easily be viewed under direct sunlight. One thing to note is that the double curved edges on both devices result in text looking like it wraps slightly around the phone, which some people may not like. 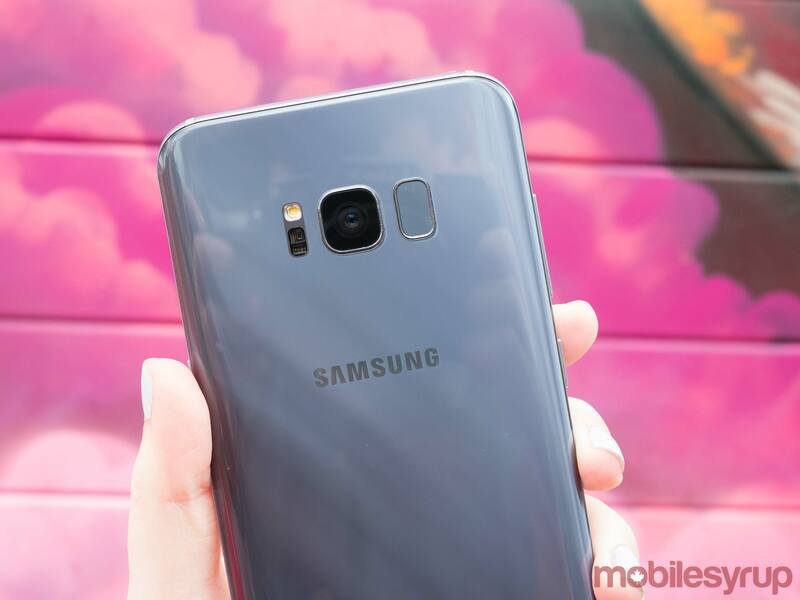 Not all content, however, has been optimized for the S8’s unique aspect ratio, which means videos from sources like YouTube needs to be cropped and expanded to fit the phone’s curved corners. Switching between cropped and the video view with letterbox is a little finicky as well when YouTube’s navigation overlay is visible. The same can be said about most other apps that run on the phone too, though it’s likely in a few months this will no longer be an issue. Samsung’s S Series is monumentally popular and app developers will rapidly adopt the phone’s taller 18:5:9 aspect ratio whether they want to or not. That said, in most cases zooming in, resulting in the screen being slightly cropped, looked fine. Games in particular, especially Clash of Clans (leave me alone, it’s a guilty pleasure), look spectacular. 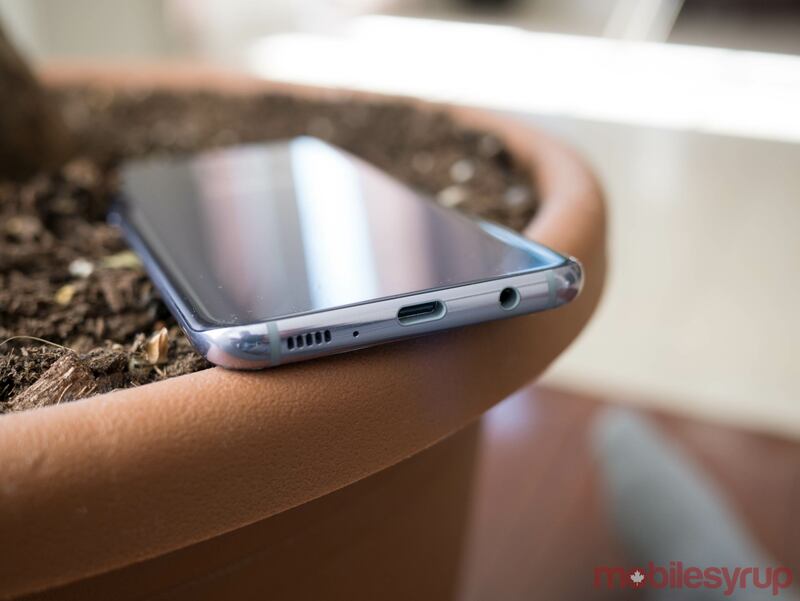 The most significant advantage the S8 has over its predecessors and this year’s competition stems from its Snapdragon 835 processor. 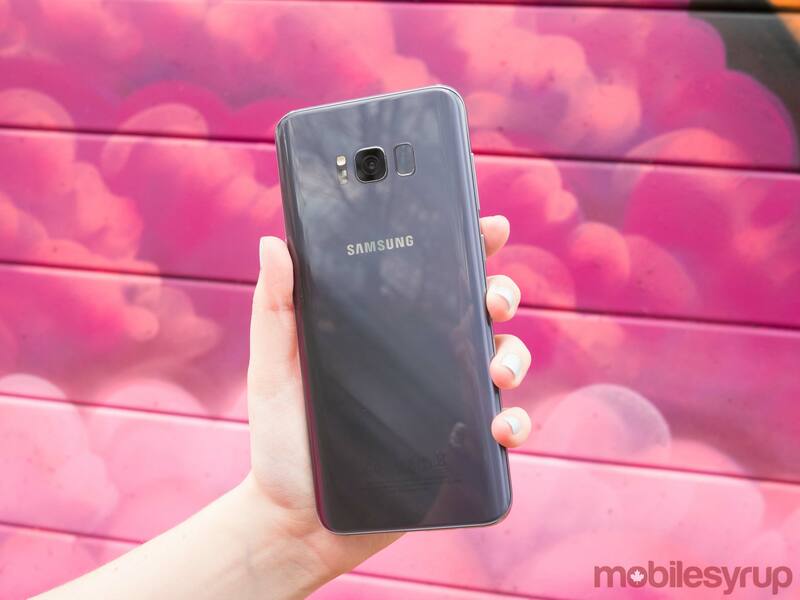 As one of the first smartphones to feature the silicon, as well as one of the few to do so for at least the next few months, the S8 and S8+ have a clear step up over other devices, particularly the G6, which only features a Snapdragon 821. Whether I was playing less resource intensive games like Desert Golfing or more high-end titles like This War of Mine, Broken Age or Micro Machines, I didn’t run into a single moment of lag while using the S8+. The same can be said about watching 4K videos, rapidly switching between various open apps, multitasking, and even utilizing some of the phone’s edge-related features borrowed from the Note 7, like ‘Smart Select’ or creating GIFs though the video grabbing ‘Animation’ feature (these sometimes lagged with the Note 7). Battery life is also equally impressive, with the phone frequently lasting late into the evening following a day of heavy usage, amounting to somewhere between seven and nine hours. 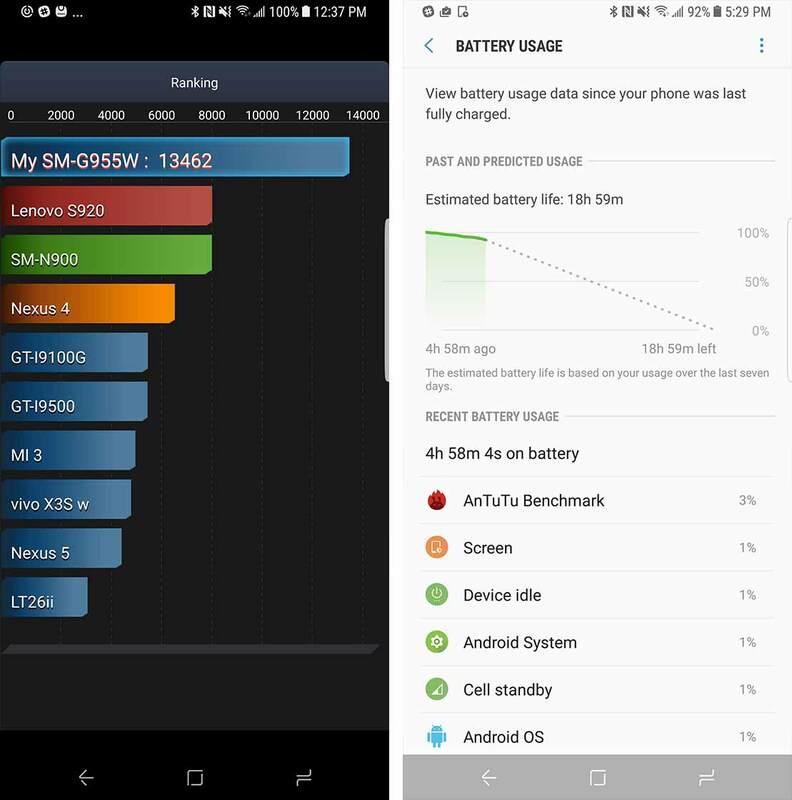 To put this further in perspective, when running AnTuTu’s battery tester with the phone at 100 percent brightness (which is actually painfully bright), the S8+’s 3,500mAh power source earned a score of 13,462, putting it ahead of most of the competition. Note: The S8’s built-in battery life estimator does not seem to be accurate (18 hours of battery life is crazy). 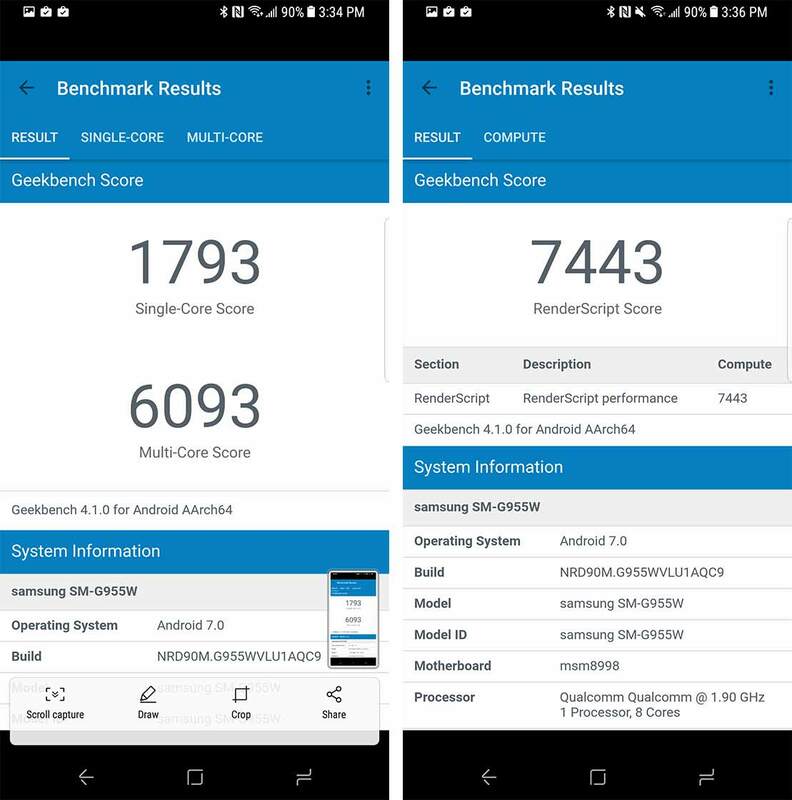 While benchmarks are far from how I typically judge a smartphone, given the S8 and S8+ are some of the first devices to feature Qualcomm’s Snapdragon 835, I ran a quick test using Geekbench 4, resulting in a single-core score of 1,793 and a multi-core score of 6,093. If you’re like me and aren’t into benchmarks, however, all you need to know is that the S8 is one of the most powerful smartphones ever released and almost any Android-based software imaginable will easily run on the device. It remains to be seen, however, if the phone is powerful enough to power Dex, Samsung’s desktop Android experience. Since Samsung’s Dex docking accessory isn’t coming to Canada “until later in 2017,” we’ll have to wait a few months to test it out. Those hoping for a massive camera update with the S8 and S8+, or conversely, some sort of dual-lens integration, will be disappointed to learn that the S8’s photography performance is nearly identical to what was featured in last year’s S7. 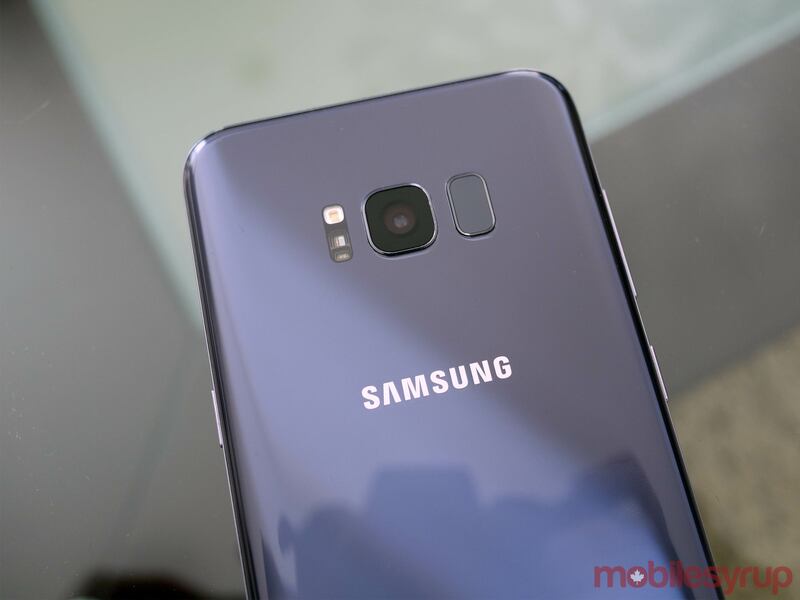 Specs wise the S8’s shooter measures in with the same f/1.7 12-megapixel sensor as last year, though Samsung claims that it’s done work behind the scenes in terms of image processing to improve photo quality. As far as I’ve been able to tell during my time with the S8 and S8+’s camera, the phone shoots images that are nearly identical to the S7 and S7 Edge. This isn’t necessarily a bad thing given the S7’s camera remains one of the best in the smartphone industry, but it will be disappointing to anyone who expected a substantial bump in performance, or a dual-lens shooter like what is featured in the G6 or iPhone 7 Plus. The front shooter, on the other hand, seems to perform slightly better under low light and has been upgraded to f/1.7 and 8-megapixels, compared to last year’s 5-megapixel shooter. It also now features autofocus, which makes snapping selfies with multiple people a little easier. Samsung likes to talk about Bixby, its new virtual assistant, unfortunately, as it stands right now, the voice-activated assistant doesn’t deliver on the company’s lofty promises. For example, while Bixby Vision is sometimes a useful feature — how has it taken this long for a manufacturer to include a built-in QR code scanner in its stock camera app? — it often is unable to recognize objects. Bixby Vision was able to easily recognize an iPhone 7 Plus, but couldn’t identify a bottle of Tylenol. Bixby’s Google image-like graph search feature typically is able to easily come up with images that match whatever I was shooting at the time, but this wasn’t always the case. I am, however, fond of Bixby Home, Samsung’s version of Google Now. It displays things like news, steps, your heart rate, suggested youtube videos and a variety of other facts, all in one easy to view at a glance location. At least right now, Bixby Home feels like a more customizable version of Google Now. Bixby Voice on the other hand, the feature Samsung talked about the most during a recent closed-doors presentation I attended, surprisingly isn’t arriving in the U.S. until later in 2017 and it’s unclear when it will make its way to Canada. Samsung has delayed the voice-activated assistant for reasons the company hasn’t revealed. With all this in mind, while Bixby is an interesting experiment and it’s fascinating to see a smartphone manufacturer enter the virtual assistant battle, it doesn’t live up to Samsung’s lofty claims, at least not yet. 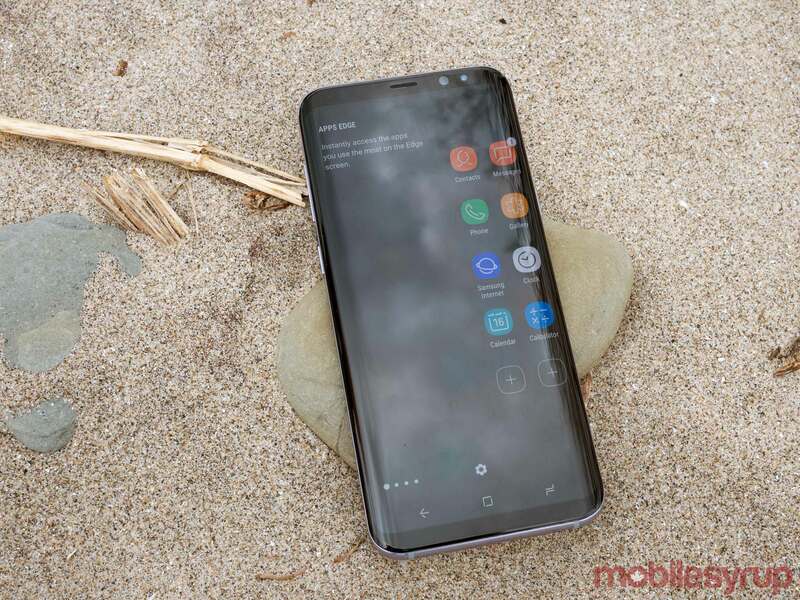 It’s also strange Samsung is planning to remove the ability to remap the phone’s dedicated Bixby button, located on the left side of the smartphone, via an upcoming pre-release OTA firmware update. 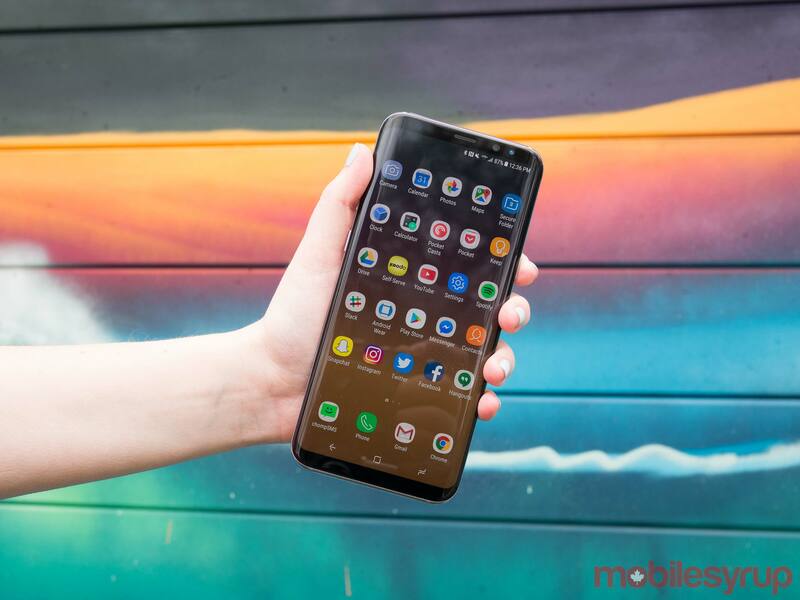 Samsung has also pared down Samsung Experience’s (nee TouchWiz) often-hated design flourishes considerably with the S8, opting for a white and black interface with dashes of grey hues. All in, while the S8 still features bloatware that’s typical of Samsung, like the company’s own internet browser and mail app, design wise, the latest version of Samsung Experience is a very tolerable Android Skin. 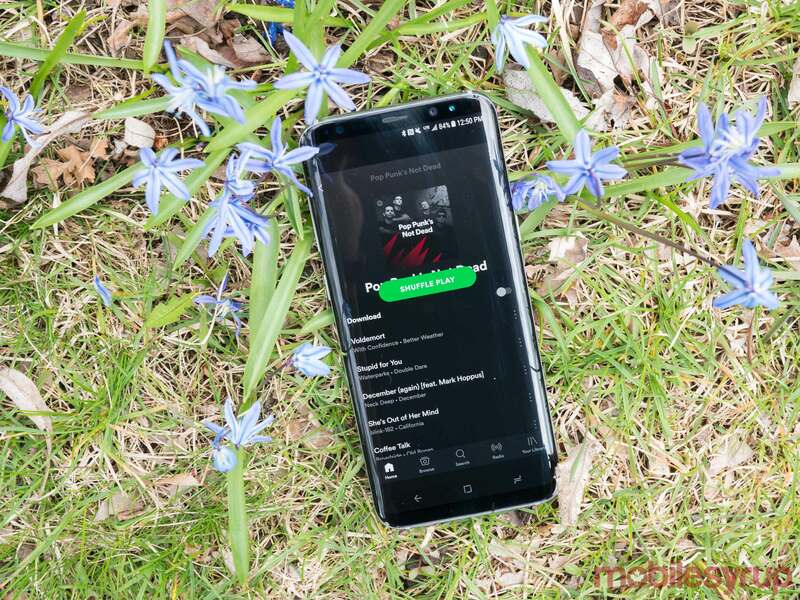 In an industry that seems to have hit an innovation plateau, with almost every device looking nearly identical and company's grasping for consumer attention in a saturated high-end Android market, the S8 and S8+ are an iterative jump forward that manages to still feel exciting. The phone's Infinity Display makes it stand out from the pack and for the first time in the last few years, Samsung's S8 and S8+ feel like phones from the future. The smartphone is, however, not without faults. Bixby isn't really ready yet, app support for the S8's unique aspect ratio isn't widespread and if you didn't like the design of last year's S7, you definitely won't be fond of the S8. Still, the S8's unique, curved display and aspect ratio excite me and that's not something I've been able to say about many smartphones lately. 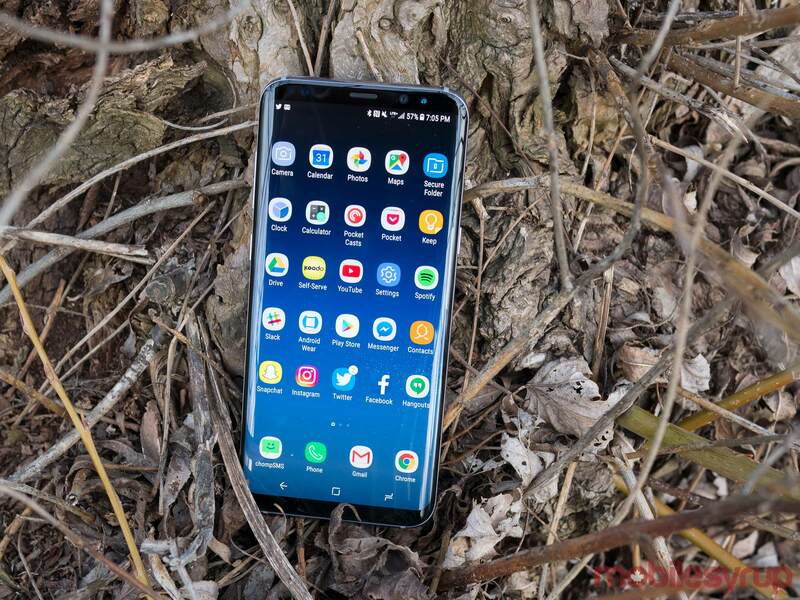 For this review I primarily spent time with the Galaxy S8+.